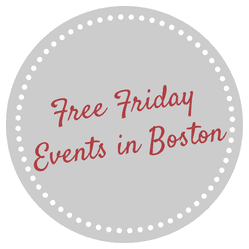 Free Friday Events in Boston for August 29, 2014! This is my last Free Friday Event roundup of the summer! I hope you enjoy it and your Friday too! Don’t forget to sign up for Boston on Budget’s nightly e-mail for suggestions right into your inbox!